Stoned is the way of the walk. Now it’s not just Cypress Hill slinging that truth… it’s Science, too. A new study found pot smokers walk differently. 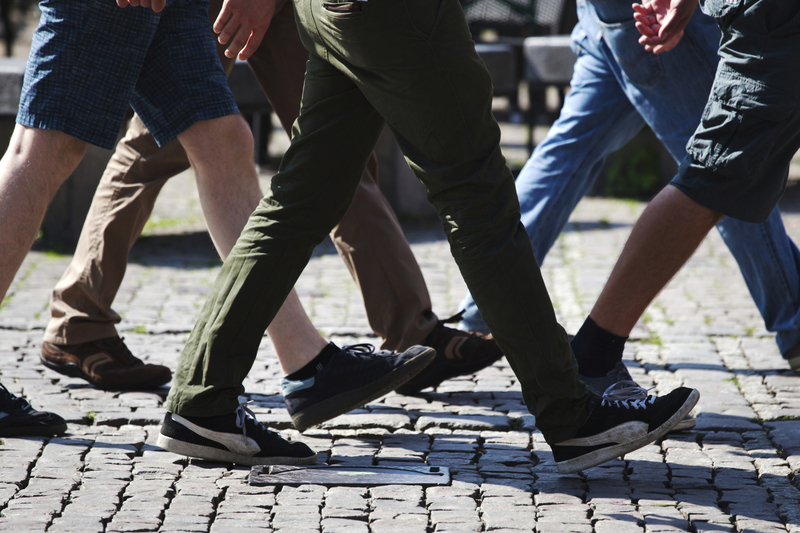 According to new research, smoking cannabis can really and truly affect the way you walk. A study at the University of South Australia, published in the journal Drug and Alcohol Dependence, found there are subtle differences in how a pothead and a non-toker ambulate (that’s science-talk for “walks,” stoners). The scientists found that weed tokers are more likely to swing their knees more quickly, and a greater speed, than non-users. They also exhibited more flexible elbows. Although they didn’t find a difference in potheads’ speed or balance, they found that weed smokers moved their shoulders less than non-heads. If you watched a weed-smoker walking next to a non-smoker, you probably wouldn’t be able to tell the difference. Researchers noted that the changes in walking patterns are so subtle, even an expert wouldn’t be able to tell. The small pilot study used 44 people aged 18 to 49. Twenty-two were cannabis users, and 22 non-cannabis users. Screening tests, as well as clinical neurological examinations of movement, were conducted, reports the Deccan Chronicle. The groups underwent tests of gait and balance, which were then analyzed through a motion capture system. The main take away message is that use of cannabis can result in subtle changes in the way that you move. However, many of the participants in the cannabis group were moderate-to-light cannabis users, therefore heavier cannabis users may have greater impairments. Now… It’s quite interesting that what had been described as “subtle differences” that make no difference in speed or balance – that is to say, in ambulatory functionality – are suddenly described as “impairments,” don’t you think? There were no significant differences between the balancing abilities and neurological functions of users and non-users, according to the study, reports the Daily Mail. Meanwhile, the experts have asked for more research to see if the effects of cannabis on someone’s gait would diminish if the periods between consumption was increased.